This fantastic long rectangular is crafted from fine sterling silver coated with a rich layer of 18KT gold and can be personalized by upto 10 letters. With this design you can engrave your name in style! All name/letters will be engraved in ALL CAPITALS (upper case), regardless of entry. 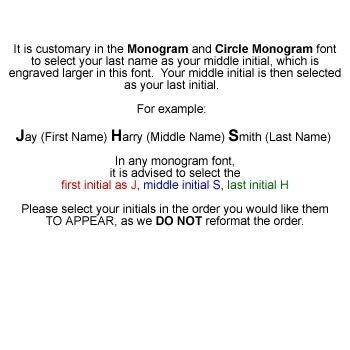 Monogram design will only be applied to 3-letter selections.